I already described two ways for kernel mode debugging Windows IoT for Intel Galileo( via JTAG and WinDBG ), Windows IoT for Intel Galileo is still built around Windows 8.1 not 10( at least at the time of writing ). 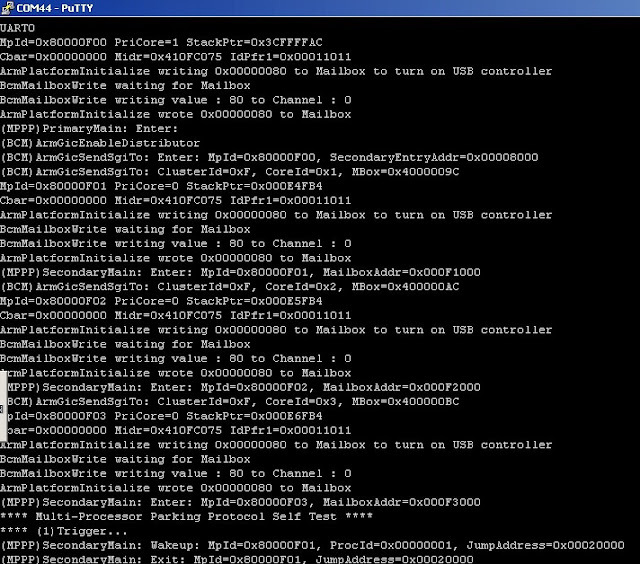 In case of Raspberry PI Windows IoT is built on Windows 10 kernel. Raspberry Pi2 doesn't have easily available JTAG port, there are speculations that JTAG is available via some GPIO pins but to prove this I need the board schematics which has not been available at the time of writing. 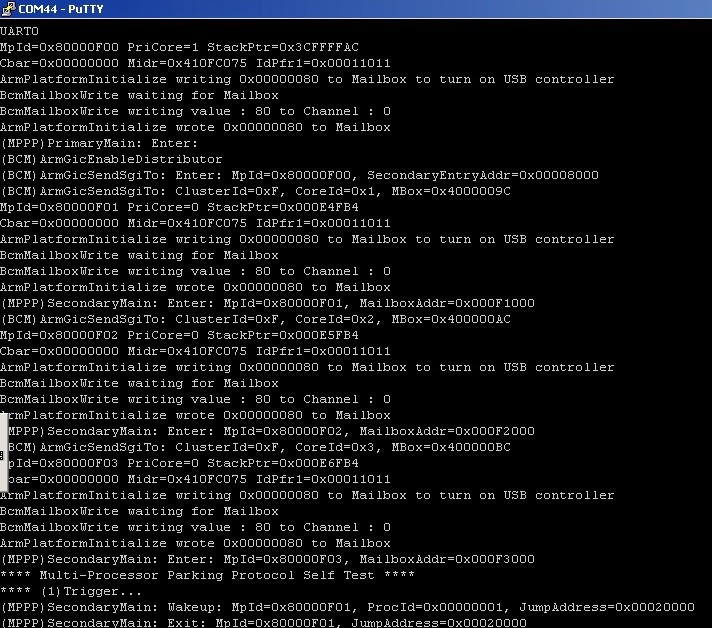 Anyway, this is Windows so WinDBG over serial port, USB or network should work. There are three GPIO pins dedicated to UART communication on Raspberry Pi 2 - GPIO(6) is GND, GPIO(8) is Txd, GPIO(10) is RxD. 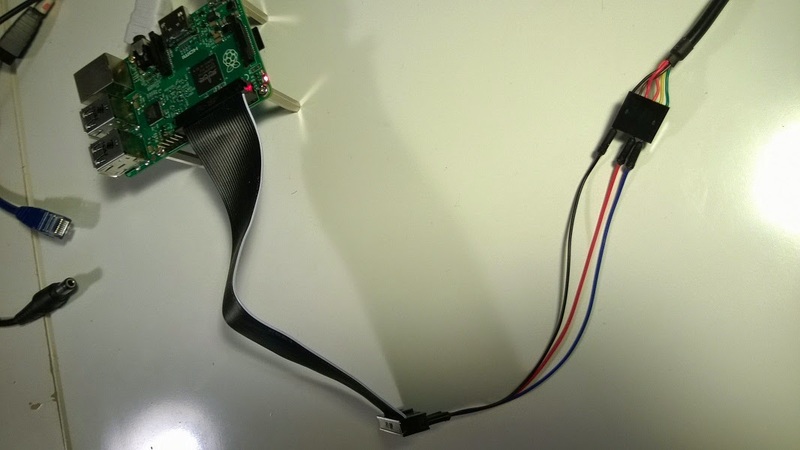 There is a guide from Microsoft for Raspberry Pi2 kernel mode debugging - Conect Windows 10 IoT Core to WINDBG - Connecting to a Raspberry Pi 2 (RPi2) . Unfortunately it contains an error in the wiring that showed with TxD connected to TxD, RxD connected to RxD, instead TxD-RxD and TxD-RxD , i.e. 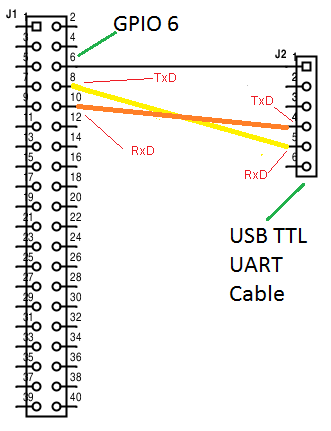 the wiring as shown by Microsoft works only if null modem cable is used but doesn't work with standard FTDI connector. Also, you need a decent serial port adapter which is able to communicate at a speed at least 1 Mbaud as Raspberry PI 2 UART communicates at 921600 baud, I would recommend to buy an original FTDI TTL-232R 3.3 V cable or similar as easily available cheap USB2Serial cables are not able to communicate at the speed over 115200 baud. I used a ribbon cable from a cobbler kit to connect FTDI 232R via male jumper cables, if you have male-female cables your can connect them directly to GPIO pins. Configure the board for kernel mode debugging via bcdedit, run WinDBG and establish a kernel mode debugging via COM port at 921600 baud . From your development machine, open the device manager and find the COM port your converter is using. When executing bcdedit to activate kernel mode debugging do not provide the port speed as 921600, just leave it blank, as this value is considered as invalid by bcdedit, Raspberry Pi 2 UART by default communicates at 921600 baud and it looks like it is not possible to change it ( at least at the time of writing ). Question - Can I damage a serial adapter by a wrong wiring? Answer - No, normally you can't cause any damage by wrong wiring. But refrain from disconnecting or reconnecting wires when the board is powered. This is Siva, i am using raspberry pi3 board.I want to do windows kernel debugging. So i done serial port connections as you suggested, but in serial log, i am seeing "KD connection refreshing". Whats the problem in serial connection.